The new technology is set to improve the way the system works and is anticipated to be rolled out in the Northern Cape by mid-2019. Detecting the incident, recording the details, deciding who to dispatch, waiting for the respondents to arrive on the scene, assessing the situation and applying the required remedy need to happen fast. The Northern Cape is the largest province in South Africa, taking up 30.5% of the total land area. With 3257km of national roads, 4989km of provincial surfaced roads and 22746km of provincial gravel roads, which means that when responding to any incident, whether big or small, time is of the essence. Rossouw Dreyer, acting operational manager of the Northern Cape department of health, emergency medical services, said: “Currently we work on an old-school pen system where the call is logged, and the operator tries to extract as much information from the caller before activating the necessary response teams. The new system we are in the process of procuring is built on a computer-aided dispatch (CAD) model. After the emergency response teams have left the scene and the situation has been stabilised is when SANRAL’s Routine Route Maintenance (RRM) teams kick in to clean up and get the road safe and ready for road users, particularly after it has been closed due to a crash. “We are the last cog in the wheel of response, and we make sure the road surface is cleared of all debris and safe for vehicles to drive on,” said Zandile Gaba, Route Manager in the Northern Cape. 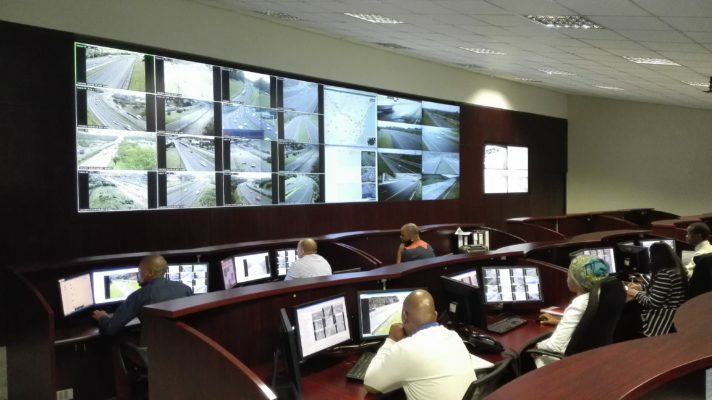 The new technology is set to improve the way the Road Incident Management System is rolled out in the Northern Cape and it is anticipated that the CAD system will be implemented by mid-2019. Getting help to those who need it most is a key priority in SANRAL’s approach to road safety and response management – embracing technology that will take a good system to being great.